The loss of a loved one is a very difficult time for families. The grieving turn to funeral homes or mortuaries who they trust to handle the burial or cremation of their loved ones with dignity. When funeral homes breach that trust, the loved ones may have a legal cause of action. The Nigam Law Firm fights to protect the rights of funeral home clients whose good faith has been betrayed. You have the right to expect respect, honesty, good faith, and sympathy from the funeral home during your time of mourning. Unfortunately, that is not always the case. If your family’s trust has been broken by negligent funeral home and cemetery owners, The Nigam Law Firm can help. If your deceased loved one’s remains have been abused in any way or the memory of your loved one has been dishonored, we want to help you. The Nigam Law Firm will represent clients whose loved ones were made victims of fraud and funeral home negligence. Ms. Nigam will hold responsible parties accountable for your pain and mental anguish. If you believe you have been the victim of improper funeral home behavior or cemetery negligence, contact The Nigam Law Firm for a free consultation. The Nigam Law Firm can answer your legal questions and help you make informed decisions about your case. 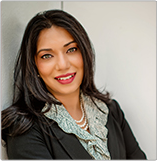 Ms. Nigam, a funeral home negligence lawyer, can answer all of your questions and will listen to you throughout your case.